The Mexican government has released its much-anticipated new rules on its oil sector, putting some meat on the bones of major energy reforms it announced last year. 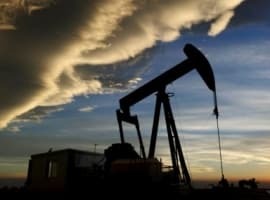 The rules appear to be crafted with the intention of attracting quick investment from international oil companies, according to the Wall Street Journal. Mexican President Enrique Pena Nieto has made energy reform a centerpiece of his agenda for a reason: Mexico’s economy is dependent on oil. Its oil industry accounted for 32 percent of government revenues in 2013. But in the last decade, production has been on the decline. Oil production dropped 25 percent between 2004 and 2013. Last year’s average production of 2.9 million barrels per day was the lowest level in over 20 years. Pena Nieto has blamed the drop on monopoly control by the state-owned oil company, Pemex, which has been faulted for inefficiency and corruption. 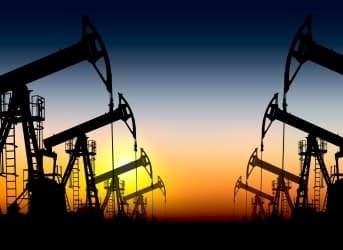 International oil companies have long only been allowed to be paid for oil services; they could not take ownership of oil fields or derive profits from the reserves. The government’s energy reform plan, and these latest rules to codify specific changes, will end that model and open up the sector to private companies. Pena Nieto has said he hopes the reforms will boost production to 3.5 million barrels per day by 2025. But the energy reforms are highly controversial in Mexico, and the political left strongly opposes ending the state’s control over the oil sector. The Partido de la Revolucion Democratica (PRD) is hoping to overturn Pena Nieto’s plans in a referendum planned for 2015. Alfonso Cauron, the Oscar-winning director of “Gravity,” wrote an open letter to Pena Nieto, which was published in Mexican newspapers, in which he called for a public explanation of how the energy reform will specifically benefit the Mexican people and avoid corruption. The government is expected to put up blocks for bid, which will be open to the highest bidder. Mexican companies will be given priority over foreign firms if bids are similar. One of the controversial aspects of the new governance structure is how stringent the local content rules would be. In Brazil, for example, regulators require that international oil companies use 40 percent local content, a limit that oil companies say is holding back investment and raising costs. While Brazil has enormous reserves in the pre-salt, its production over the last few years has proved disappointing. Mexico decided on a much looser 25 percent local content and, importantly, the proposal allows companies up to a decade to comply. 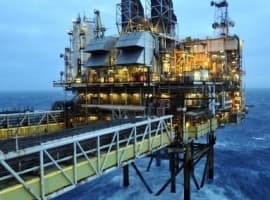 The latter provision could prove to be significant because it allows international oil companies to move in almost immediately with their existing expertise. If, on the other hand, Mexico had required local content requirements from the start, oil companies would need to take the time to establish relationships with Mexican companies before kicking off new projects. International oil drillers are already exploring and producing in the Gulf of Mexico, so they could theoretically move into Mexican waters without too much difficulty. 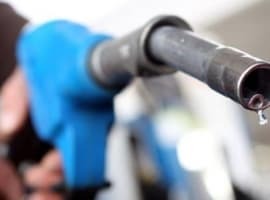 Another important reform focuses on royalties; the government has proposed a sliding scale based on the price of oil. For example, companies would pay a 5 percent royalty when prices are $60 per barrel but a 10 percent royalty when prices are $100, according to the WSJ. Analysts expect the government to offer a range of blocks for development, including deep-water and onshore shale. The U.S. Energy Information Administration estimates that Mexico has 545 trillion cubic feet of recoverable shale gas, the sixth largest amount in the world. The most promising fields, such as the Burgos Basin, are in the northeast of the country, along the prolific Eagle Ford formation in south Texas. The international oil industry is chomping at the bit, but the proposal still needs to get through the Mexican Congress. Despite his remarkable success at getting several major bills through already, Pena Nieto’s approval ratings are quite low, just 37 percent in a recent poll. But he has said he remains confident of victory this time again.